Home baby birth birthday birthplace child Christmas infant infant Jesus Jesus Jesus Christ manger yuletide yuletide symbols Yuletide Symbols VI: "Baby Jesus in the Manger"
Merry Christmas to all of you!!!! Wishing you all the best this season! Here is now my second to the final Christmas special for this year! Again, these pictures were all taken in the SM Mall, Makati City using my digital mobile phone. I put this part on the very day of Christmas since this thing is I think the most significant symbol of Christmas! Yup, without the birth of Him, do you think we will celebrate Christmas?! Above and below are the pictures of baby Jesus during His birth. 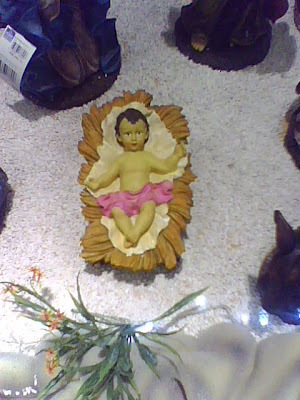 Try to take a glance of the different variations of the infant Jesus! The Infant in the White and Green Christmas! Almost all over the world, we celebrate Christmas. All nations joined-hand every year to commemorate the most important time of the year! 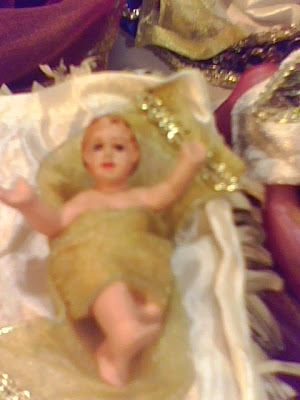 Infant Jesus is I think the most important symbol of Christmas. 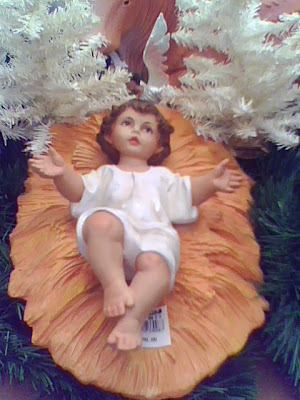 In all the displays around the malls, churches, streets, or even in the plain houses, you could always see child Jesus. Cute, tiny, huggable...seeing a baby Jesus, you will like got inspired! Just like in the pictures, it comes with the different variations and styles. Every country had their own designs of infant Christ. But the good thing was that, they didn't remove the original birthplace of Jesus which is the manger! 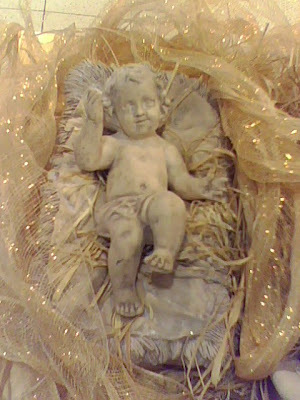 Infant Jesus in the manger keeps us reminding of the original story of Christmas, its true meaning, its real symbol! Wishing You All A Merry, Merry, Christmas...!! !